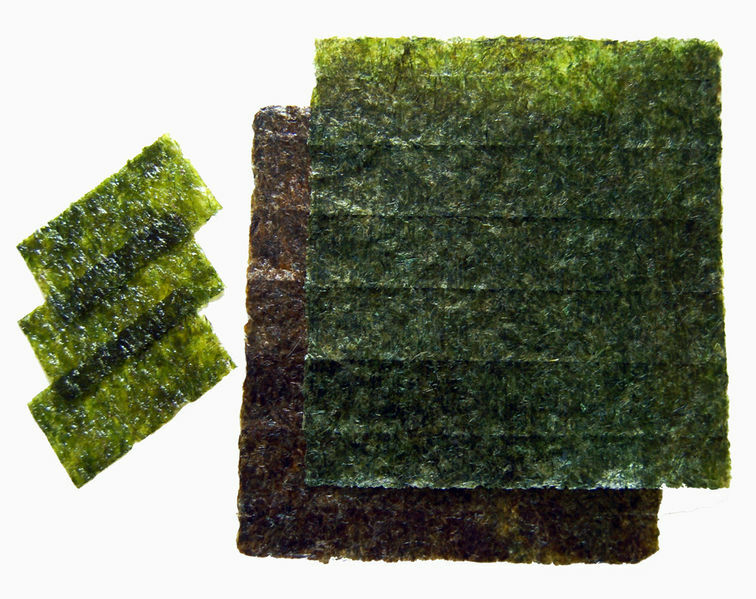 Nori or seaweed is a type of algae, traditionally cultivated in the harbours of Japan. Today nori is farmed, processed, toasted, packaged and sold in standard size sheets. Nori has a lot of health and nutritional value and is regarded as a "Super Food". Nori is packed full of much-needed vitamins and minerals, including some relatively rare trace elements. Nori is rich in iodine and iron and quite high in protein. It is also a good source of vitamin C, vitamin A, potassium, magnesium and riboflavin (B2). Not only does it have all these nutritional riches, it is also a low-fat food!